It’s Monday! That means it’s time for Monday’s Music Moves Me! This week we’re getting a free pass on the theme, so I thought I would fill the slot with a tribute to Mr. Fats Domino. He passed away on October 24. He was 89 years old. When I saw this in my trending news feed, I mentioned it to my cousin. She looked at me strangely as she did not know who he was. That, my friends, is the downgrade of society today. Such blasphemy! I even sang the opening line to Blueberry Hill, and she still didn’t know. I’m wondering if we are even related. 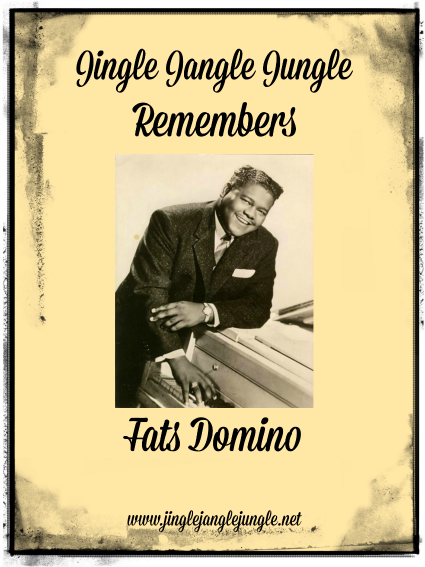 Antoine “Fats” Domino, Jr, was born and raised in New Orleans, Louisiana. Louisiana Creole French was his first language. His father, Antoine Domino, was a well-known violinist. 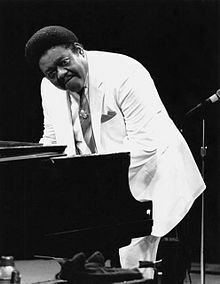 Fats Domino learned to play the piano from his brother-in-law, the jazz guitarist Harrison Verrett while studying shipping management at his local community college. In the summer of 1947, Billy Diamond, a New Orleans bandleader, accepted an invitation to hear the young pianist perform at a backyard barbecue. Domino played well enough that Diamond asked him to join his band, the Solid Senders, at the Hideaway Club, in New Orleans. Diamond nicknamed him "Fats" because Domino reminded him of the renowned pianists Fats Waller and Fats Pichon. Fats Domino was one of the biggest stars of rock and roll in the 1950s and one of the first R&B artists to gain popularity with white audiences. His biographer Rick Coleman argues that Domino's records and tours with rock and roll shows in that decade, bringing together black and white youths in a shared appreciation of his music, was a factor in the breakdown of racial segregation in the United States. Fats Domino was an important influence on the music of the 1960s and 1970s. Elvis Presley introduced Fats at one of his Las Vegas concerts by saying "this gentleman was a huge influence on me when I started out". Both John Lennon and Paul McCartney recorded Domino songs. More prominently known for “Blueberry Hill”, he has had a few other hits. Here’s a compilation of his music for you to enjoy. Thank you, Mr Domino, for sharing your great talent with us. Another music legend gone. 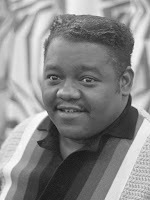 You can find more information about Fats Domino here. Be honest now - was this the first time you had heard of Fats Domino, or am I an old lady? Tell me about it in the comments. You're welcome, Marie. Thanks for stopping by! Thanks, Alana. It has been a rough few years for musicians. Fatz had more tunes that I know then I realize. 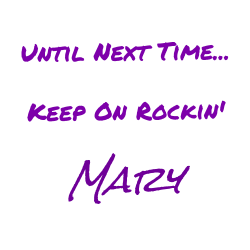 It's sad so many mewsic legends have passed this year but that's part of life, isn't it? "Blueberry Hill" will always be a song synonymous with Fatz! It's great to have you on the dance floor today! I was quite surprised when I started digging through the tunes, at just how many there actually are. The Ben Franklin of rock. A very nice tribute to a true legend. Thanks for all the research and info on a true music pioneer. He was much more of a legend than I realized. I'm glad that I was able to share some of the info with you. So sad when any musicians pass. Nice tribute. It really is sad. At least in his case, it was not sudden nor unexpected. I only know a few of Domino's hits and can't say that I cared all that much for those. But hearing some of his other stuff I have a better appreciation for his music. I probably should have paid more attention. I tend to agree with you, Lee. If I'm being completely honest, I'd admit that I thought he had passed years ago. I remember him, but then I am 65 years old, LOL. I loved listening to his music on the radio. I'm glad that I could help bring back some good memories for you! I always enjoy my oldies! Oh, he was a great, so influential in rock and roll. Thank you for this. You're welcome, Darla. Glad that you enjoyed. I love some of his songs. I didn't realise he sang Blueberry hill. Yes, that is one of his most recognizable songs. He was one of the Founding Fathers of Rock & Roll. He added a heapin' helpin' of gumbo file to the sound coming out of Memphis and Texas and his sound was unique. Great set you have here! Thanks, John! I really enjoyed his music and have appreciated his contributions the ever changing musical world. It's hard for me to imagine anyone not knowing 'Blueberry Hill'. Especially a person of a certain age, or "certain era", to put it another way. I'm just checking in here to see how you're doing, what with the big move and all. Are you now officially "relocated"? How'z thangz? I'm about to head up to Virginia City for the weekend. (No computer but plenty of Mojitos! Who needs Internet service when you've got good service at the bar?) But I'll be Bach!... or perhaps Beethoven. I think you better check that family tree.... no way she’s related to you if she never heard of Fats Domino and then didn’t recognize Blueberry Hill?! My goodness. Well, bottom line: we be old!